The STROKE Art Fair supports artists that are bold enough to articulate their very own point of view, embracing the importance of freedom of expression in arts and entertainment. The poster series “Scars of Democracy” focuses on a human right as of 1948 set out by the United Nations General Assembly in Article 19, according to which everyone has the right to freedom of opinion and expression. However, that today artists are often no longer free, even in democracies, is shown in this art fair together with street artist Capo’s Finest in an immersive online gallery based on his large-scale watercolour portraits on Indian mould made paper. 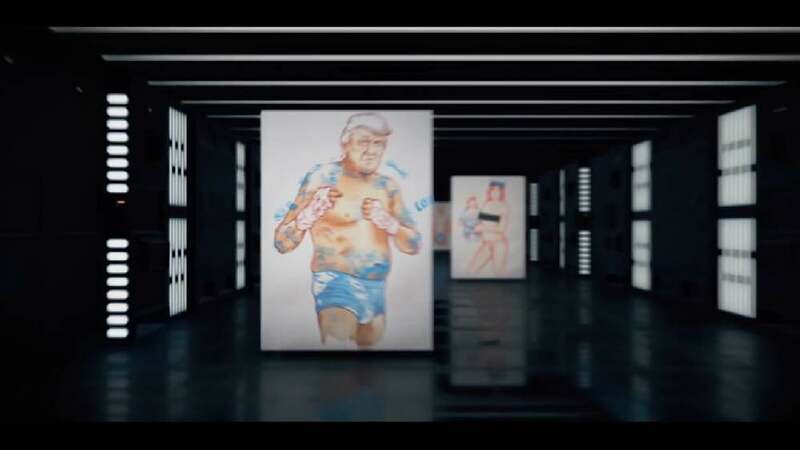 In a courageous look at eight political leaders who freely express their decisions, the artist illustrates their misdemeanours: interpreted as tattoos, symbolising the irrevocability of political actions. Literally getting under the skin, these misdemeanours are written all over their bodies. The motifs were mirrored by handpicked content snippets from a wide range of global news portals and, together with Article 19, were available free for download to all users. Thus, the spirit of resistance could be spread widely. The posters of this online gallery manage to convey the issue of the endangered freedom of artistic expression in a highly contemporary manner. The illustrations show politicians with tattoos written over their bodies to identify their misdemeanours and could be clicked on for watching videos, sharing and instantly distributing them. The significance of the matter at stake was conveyed in an aesthetically brilliant and digitally smart manner.